Super Rita Black Ivory Need Help? Rita Black Ivory features a unique design composed of a thick rounded acetate frame with contrasting extra large cat-eye lenses mounted over the top. 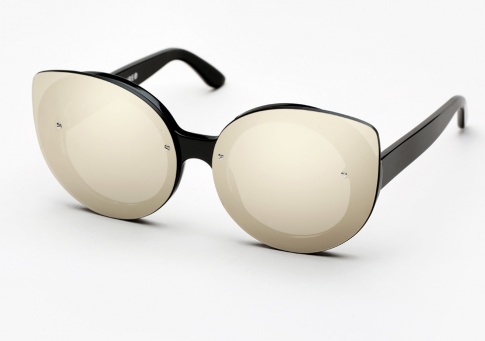 Rita Black features black acetate and Ivory mirrored lenses by Zeiss.